My really good friend just had a baby on Friday! I am pretty miffed that I have a cold and couldn't go visit over the weekend. I am hoping I am back to 100% by this weekend so that I can meet her new baby boy. 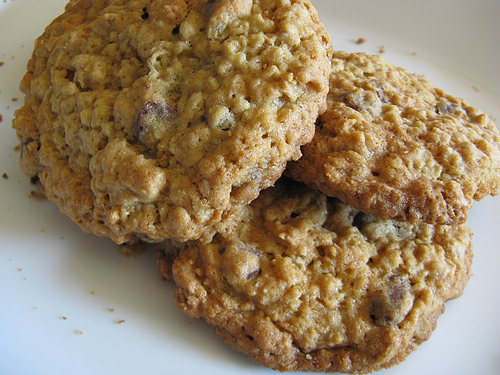 Homemade Oatmeal Cookies - Oatmeal is supposed to help with breast milk production. And any excuse to eat yummy cookies! Pajama pants - After I had Ben, I bought a pair from Old Navy and basically lived in them. I heart them. 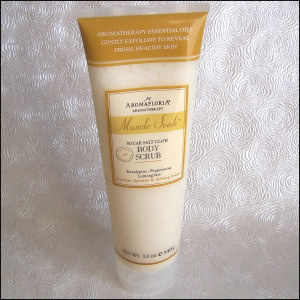 Exfoliating Scrub - Did anyone else reading this get those terrible bumps on your arms during or after pregnancy? I did, and my friend has complained about them. I just happened to have a salt exfoliating scrub lying around after I had Ben and found that using it and then moisturizing afterwards helped. Reusable Water Bottle - Gotta keep hydrated! This is her second baby. Her little girl is 2 1/2 years old. I wish I could put some rest in the basket for her! Oh my gosh! Are you sure Stephen isn't five? :) Certainly no older than like 10. That's great! Congrats to them!